Ball Publishing got its start early in the history of Ball Horticultural Co. (which was founded in 1905). Ball’s founder, George. J. Ball, was a seedsman and flower grower of the highest order. But he was also a prolific writer, and a big proponent of the sharing of knowledge. Two of his company’s earliest book projects were “Seed Sowing” and “Gravel Culture.” But his best-known work and legacy is the “Ball RedBook.” First published in 1932, the RedBook is considered to be the “bible” for the greenhouse industry. 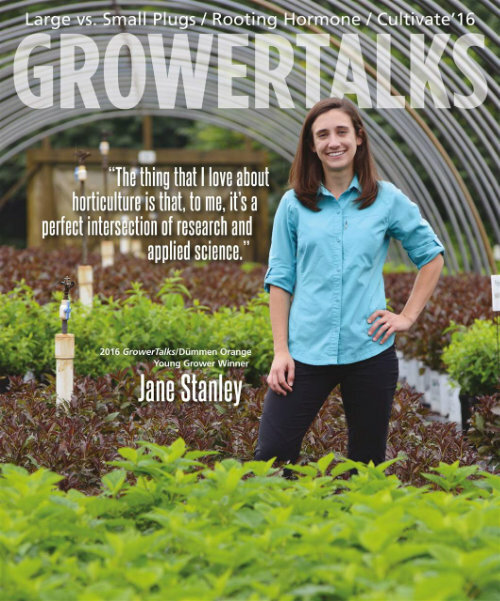 It’s loaded with detailed production information for annuals, perennials, cut flowers and other floriculture crops; plus in-depth chapters on greenhouses and growing technology. Now in its 17th edition and over 1,000 pages long, the Ball RedBook has sold hundreds of thousand of copies around the world. Visit a greenhouse on any continent and chances are you can find a well-worn copy of the RedBook. Just as famous as the RedBook is GrowerTalks magazine. It, too, was founded by George J. Ball. George decided to publish his own magazine because the editor of the floral trade magazine in which he wanted to publish his crop production articles wouldn’t print them in a timely fashion. He knew growers needed the information now! So he launched his own magazine, GrowerTalks, writing at home after work on a legal pad balanced on his knee. That was May 1937, and the convenient pocket-sized publication became the commercial flower grower’s best friend. It’s widely accepted that GrowerTalks truly got growers communicating with one another. George wrote about his own experiences and travels, and he tapped into his sons Vic, Carl and George K. (Sonny), as well as the Geo. J. Ball sales force, to provide culture and market information from around the world. Turn to a copy from the early ’40s and you can read about the difficulties facing the industry during World War II, when women began working the greenhouse and seed from the renowned German and Japanese breeding houses was unavailable. 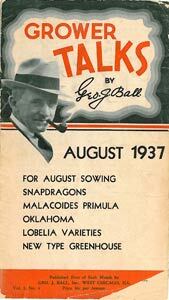 Today, more than 82 years later, GrowerTalks may be the best-known greenhouse trade publication in the world. While it’s published in America’s Midwest, just outside of Chicago, its reach and influence is global, with its editors historically on the road and in the air to find the stories, trends and news. From the days of George and his sons traveling across the country by train or abroad by boat, to today’s editors visiting trade shows and greenhouses on nearly every continent, GrowerTalks is there, in the greenhouse and garden center, bringing you the latest growing and retailing information. Speaking of garden centers, in 1997 we decided to launch a publication just for retailers. There were two major information gaps in the market that we felt prepared to fill: crop information and consumer trend information. No other publication was bringing timely, accurate flower and plant information to retailers. Yet we’d been doing it for growers for years. And no one was focusing on the end consumer and what she wants and needs. 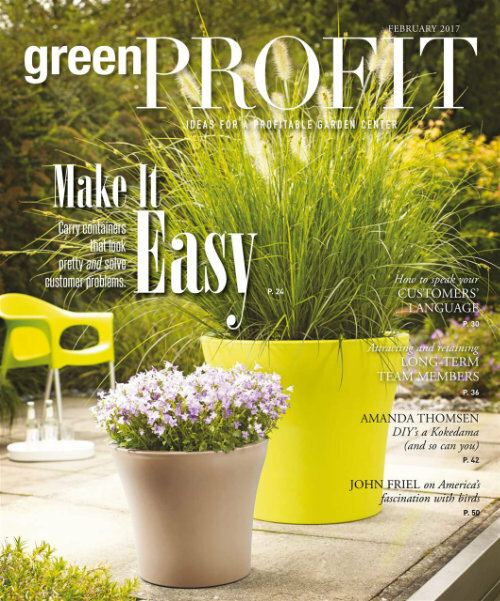 We launched Green Profit to serve those two niches, and it has done that admirably for more than 17 years. In the mid 2000s, we noticed that the industry was changing, and our current design reflects that. Launched in July 2008, it’s only the second major redesign GrowerTalks has ever had. The first was in 1982, when Ball Publishing was launched as a full-fledged division of Geo. J. Ball, and the magazine went from pocket-sized to full-sized and began accepting advertising from Ball’s competitors. Our latest change brings the worlds of growing and retailing closer together—just as they are in reality—by putting GrowerTalks and Green Profit back to back, joined “in spirit and in spine,” we like to say. This gives everyone in the industry one convenient publication filled with the best of both worlds. So it's truly the only trade magazine growers and retailers "flip" over.